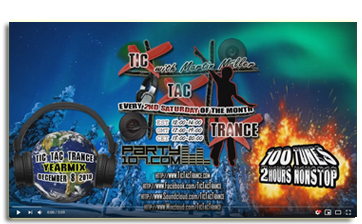 Tic Tac Trance #131 Replay available! Tic Tac Trance #131 is almost here! This episode will air on November 10 2018 on Party107.com and will feature new tunes and remixes by artists like Daniel Kandi, Paul Miller, Binary Finary, Pure NRG, Lostly, Push, Indecent Noise and, of course, many, many more! This time I’ve prepared an uplifting & techy 2 hours underground trance journey. Make sure to tune in! 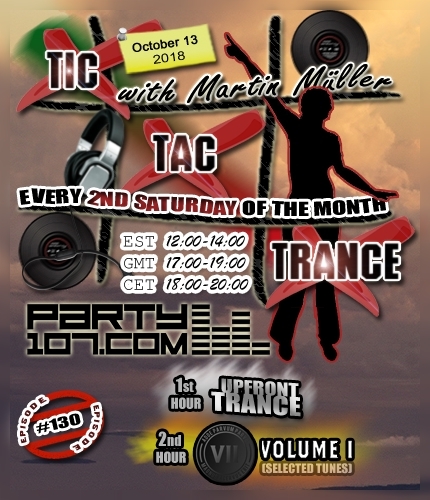 Tic Tac Trance #130 Replay available! 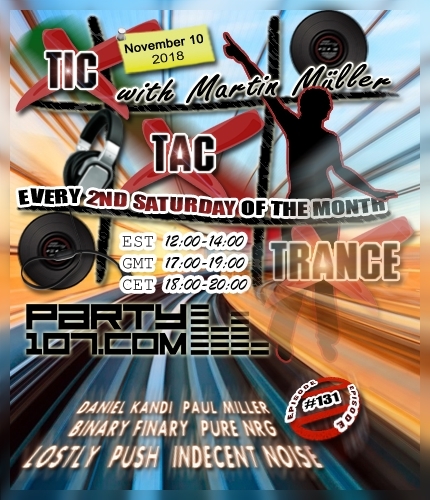 Tic Tac Trance returns on October 13 2018 with episode #130 on Party107.com. For the first hour you can expect an uplifting underground trance mix with upfront tunes! For the mix in the second hour I’ve selected some of my favorite tunes taken from VII Volume I! Make sure to tune in! Tic Tac Trance #128 Replay available! 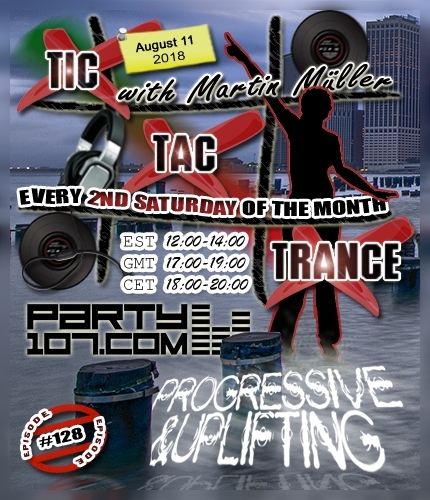 Tic Tac Trance returns on August 11 2018 with episode #128 on Party107.com. You can expect for this show a 2 hours progressive & uplifting underground trance mix which features tunes of labels like In Trance We Trust, Mass, Armind, Rise, Perfecto and many many more! Make sure to tune in! 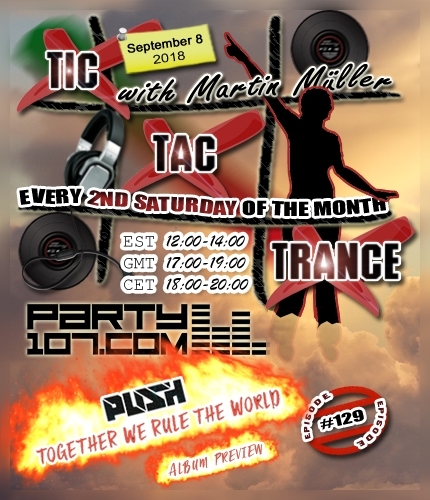 Tic Tac Trance #127 Replay available!